CHIHUAHUA, Mexico —Federal prosecutors in Texas and New Mexico are dealing with a series of unusual cases. Ten drug smuggling crimes have been traced to a man from a Mennonite community in Mexico who is alleged to have duped the victims. The seduction starts with a classified ad in the paper, one that 23-year-old named Juan was drawn to. He asks that his last name not be revealed; he’s frightened there may be retribution if the man who placed the ad — identified by U.S. attorneys and the victims as David Giesprecht Fehr — finds him. The man who placed the ad is from the Ciudad Cuauhtémoc area, a 40,000-strong Mennonite community of ranchers and farmers in the northern Mexican state of Chihuahua. They’re members of a conservative Christian church with European roots. Mennonites were invited by Mexico’s post-revolutionary government to settle here in the 1920s in part to populate Mexico’s border twith the United States. The Mennonites in Chihuahua today trace their ancestry to Canada, and prior to that Germany and the Netherlands. Juan answered the ad. And a man called back. “The man said ‘I’ll pay you $500 a week to drive my truck to the U.S. and back,’” Juan was making $70 a week as a security guard. The would-be employer, David Giesbrecht Fehr, goes by different aliases and imports American farm equipment. It’s now alleged he ran narcotics. Mennonites enjoy a deserved reputation as prolific farmers and ranchers. This image was taken near Casas Grandes, Chihuahua where Mennonites have made the desert bloom. He pitches non-Mennonite Mexicans who respond to his ad by saying that he imports farm equipment from the United States. What he allegedly did not add is that the trucks he gave people to enter the U.S. with were loaded with large quantities of marijuana. Juan thought the job offer was too good to be true. The caller was offering to quadruple his salary and give Juan steady work with health benefits. So he told the caller he needed time to consider the offer. The same offer was made to Juan’s father. They discussed it together. The father declined while Juan accepted, to his enduring dismay. Liz Rogers was the federal defender in West Texas whose office represented Juan and five other Mexicans. The other three were arrested crossing into New Mexico. It was anything but. 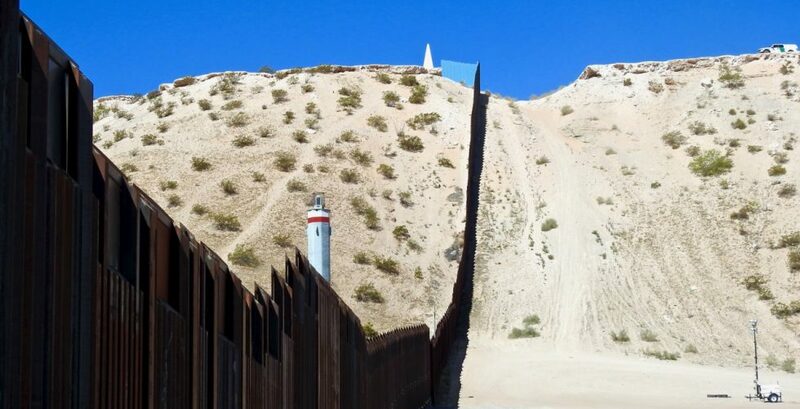 When Juan hit the Texas border at Presidio, a customs agent told him to get out of the truck. “They didn’t tell me what was happening,” he said in Spanish. Then another customs officer approached. The officer said a DEA agent would explain everything. When that agent arrived, the conversation continued. A Mennonite father and son at work in a field near Casas Grandes, Chihuahua. “Are you carrying drugs?” the agent asked Juan. ‘Absolutely not,’ he replied. He couldn’t digest what he heard next. Rogers says one of the cases showed how sophisticated the operation was. At least seven of the people allegedly duped by Giesprecht, including Juan, live near a cluster of Mennonite villages near Ciudad Cuauhtémoc located about 60 miles southwest of the state capital, Ciudad de Chihuahua. One non-Mennonite I spoke with outside Ciudad Cuauhtémoc — a man who says he greatly who respects the Mennonite culture — says his neighbors are hard-working farmers. But he says there are exceptions. “They plant corn. Sometimes plant some marijuana too,” he said in English. For Juan, arrested with 125 pounds of drugs, and the others in New Mexico and Texas, the prospect of serious jail time was real. But as evidence tied to David Giesbrecht Fehr mounted, the state of New Mexico dismissed all the cases. In Texas, three defendants were allowed to plead guilty to time served and immediately deported. The defendants’ visas were revoked, and that revocation lasts for three years. A man drives a cotton harvester on a Mennonite farm near Lopez Mateos, Chihuahua. As a practical matter, however, none of the now-former defendants will find it easy to return to the United States, even for a visit with family. Juan, for example has aunts and cousins in Denver and Los Angleles. If Juan to present himself at a border crossing, a computer check of his documents would show that he faced serious drug charges and accepted a plea deal which included immediate deportation. But Juan’s just happy to be home.